Here's where you can find hospitals that have been top rated by related people with dwarfism. This is a refference area for all major hospitals. This is not that partnered area or affiliated area. Hospitals are subject to pending partnerships. Since 1934 Lyerly Neurosurgery has advanced in neurosurgical care. They have over 80 years of experience and understand the impact on neurological conditions have their patients and their families over the years. Their commitment to exceptional care in the neurological field shows why they are the leading and most advanced team in the nation. From their technology, studies, and innovative treatments Lyerly Neurosurgery proves daily why they are the perfect solution for the care of their patients. Recognized year after year as one of America's Best Children's Hospitals by U.S. News & World Report, Wolfson Children's Hospital of Jacksonville, Florida is the only full-service tertiary hospital for children in the region, serving North Florida, South Georgia and beyond. We are a non-profit organization that provides care for all children, regardless of their ability to pay. 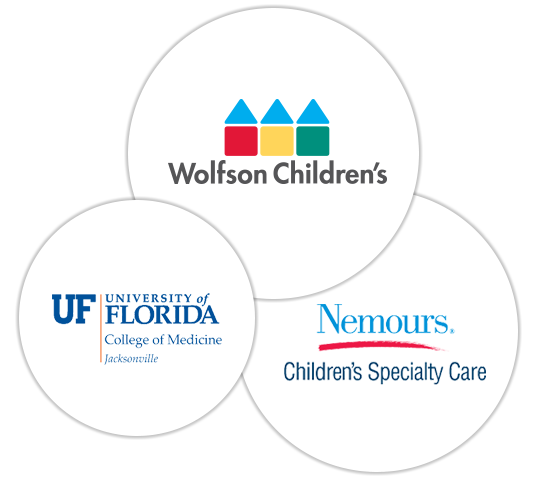 Wolfson Children's Hospital works as one team with our world-renowned partners to provide top-notch resources and outstanding care to children.